2nd Edition. Published January 2019. The ancient practitioners of the Art said that if a mystic knows the names of the angelic guards, he will be granted magical powers over them. Most important, he must collect "seals" inscribed with secret names of God, which will earn him permission to proceed still farther. He will be constantly be put to tests, and a terrible fate awaits the one who fails such a test. If he does succeed in his mission he will be allowed to address questions or inquiries to the Almighty himself. This type of celestial mysticism also passed into Christianity. The late Gershom Scholem, the leading historian of Jewish mysticism, calls our attention to the testimony of Paul, who describes (2 Corinthians 12:2-4) how he himself had experienced a similar mystical ascent: "Whether in the body or out of it, I do not know--God knows." 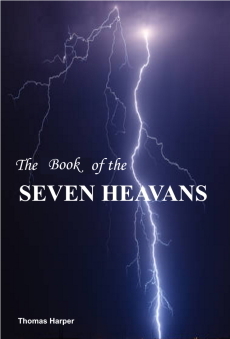 Paul was caught up as far as "the third heaven," where he "heard words so secret that human lips may not repeat them." You can now learn the secrets of the Heavens.